Dingle has a wealth of attractions to suit all ages and interests. 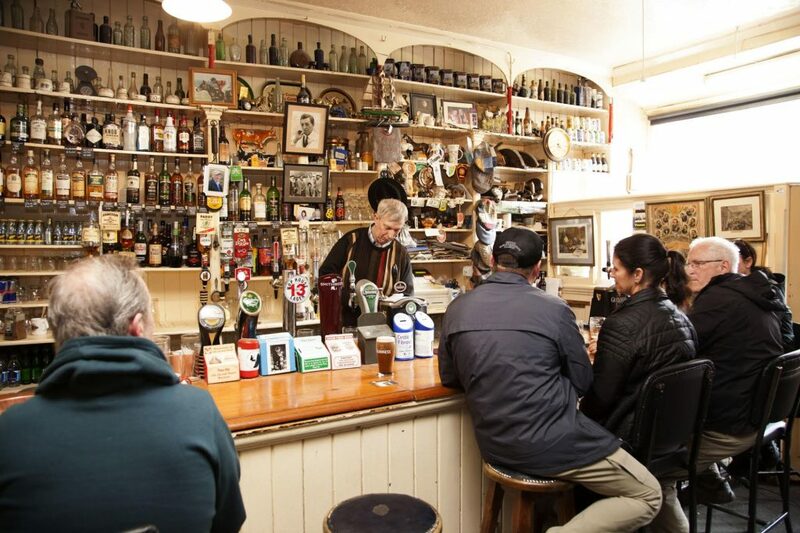 J. Curran’s Bar, a family owned business established in 1870, is an old-style shop and bar located in the heart of Dingle. As such, the bar still displays shelves full of hardware and tools, interesting antiques and old photos. Curran’s retains its traditional decor including characteristically Irish “snugs” for patrons to enjoy their pints in a cosy atmosphere. Curran’s is a homely place where friendly banter is the norm. Time slips by as the pendulum on the big clock on display, bought at auction in Lord Ventry’s house in 1922, swings slowly. 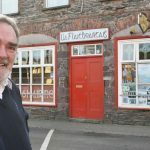 Owner, James Curran, has many stories to tell like how the writer, Peig Sayers, once worked for the family or how The Chieftains came to see him when he wasn’t able to make it to their concert himself. Curran’s Bar was also one of the first bars that the documentary film The Irish Pub visited. A must-see in Dingle! 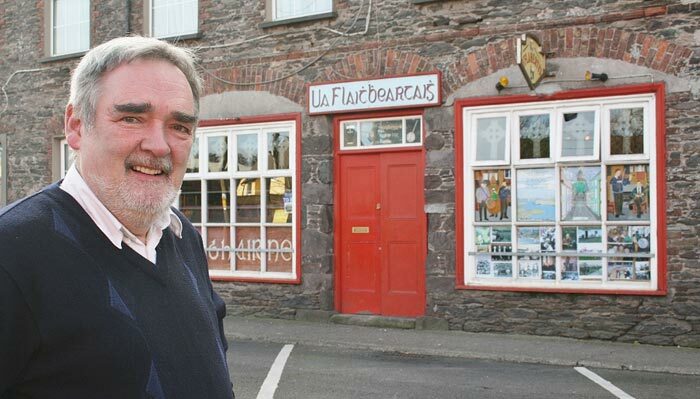 When it comes to traditional Irish music, language and culture, there are few pubs that compare with Tigh Tábhairne Ui Fhlaithbheartaigh, O’Flaherty’s Bar, on Bridge Street, Dingle. Under the stewardship of publican Fergus Ó Flaithbheartaigh, O’Flaherty’s is a trad mecca where the strains of the music sessions continuously colour the night air. Music sessions in the pub are plentiful and visiting musicians are welcome. The traditional music session has played a central role in the passing of music from one generation of musicians to another and from one musician to another. The session in O’Flaherty’s Bar has been part of the pub since the day it opened. From the original Valentia Island flagstones, which date from the 1860s, to the two mainstays in the bar rendered from a ship lost at sea; O’Flaherty’s Bar itself is something of a historical hub; every inch of its walls adorned with photographs and memorabilia documenting the history of Dingle town. 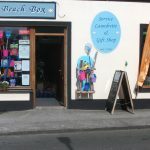 The Beach Box is a gift shop and launderette, located in the heart of Castlegregory village, opposite the local supermarket. 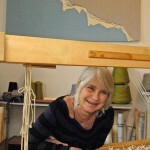 The shop is filled with beautiful gifts and gorgeous local crafts, to suit all occasions. The Beach Box is open all year round and is owned and operated by Keith & Justine. The launderette offers a same day service, if you need your laundry in a hurry, and there is a dry cleaning and ironing service also available. If you’d like to stay a little longer in the area, The Beach Box also has a rental home, Brooke Cottage, which has all mod cons including washing machine, dishwasher, microwave, large fridge/freezer, sky TV, central heating and log burning stove. Contact Keith or Justine for rates and availability. The Beach Box also offers bicycle hire so you can really enjoy the scenery and have fun, too! 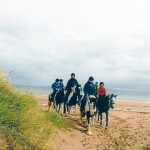 Why not rent a bike and cycle into Glanteenassig Forest Park or take a short ride to the beach? There are Mountain Bikes to suit teenagers and adults for hire. The cost is €15 a day (discount for longer rentals) and route maps are available. Splash Sports is Kerry’s #1 watersports centre providing a wide range of activities from Surfing to Powerboating and Water Trampoline. 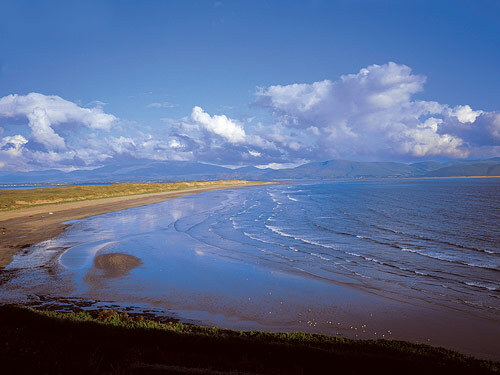 Splash Sports is an ISA-approved center operating out of Sandy Bay in Castlegregory for over 25 years, providing the best value watersports in Ireland. The Splash Sports team consists of qualified ISA and Beach Lifeguards who provide the highest standard of service in a healthy, safe, fun and active environment to ensure everyone who comes to us leaves satisfied. Sandy Bay is where all the fun happens and during the summer months (June, July, August & September) Splash Sports operates a watersports centre there. You can take part in one of the mega club run daily or hire a paddle boat or canoe to just laze around the bay. Enjoy the full size water trampolines and the new aqua summit slide. 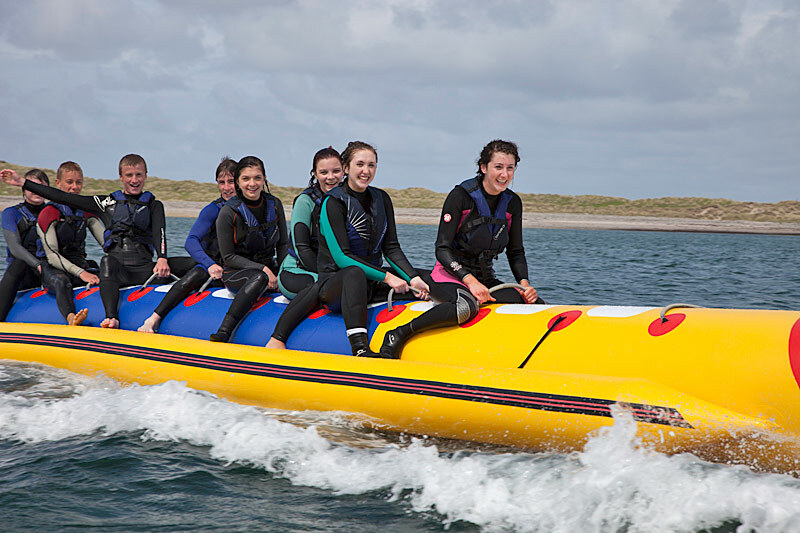 For the more adventurous, you can have a go on the banana boat if you dare! There are many more activities to choose from while taking in the beach views; Kids Summer Camps, Equipment Rentals, Surf lessons, School tours, Powerboat courses, PWC courses, Paddleboats, Kayaking, Trampolines, and Waterslides to name a few. 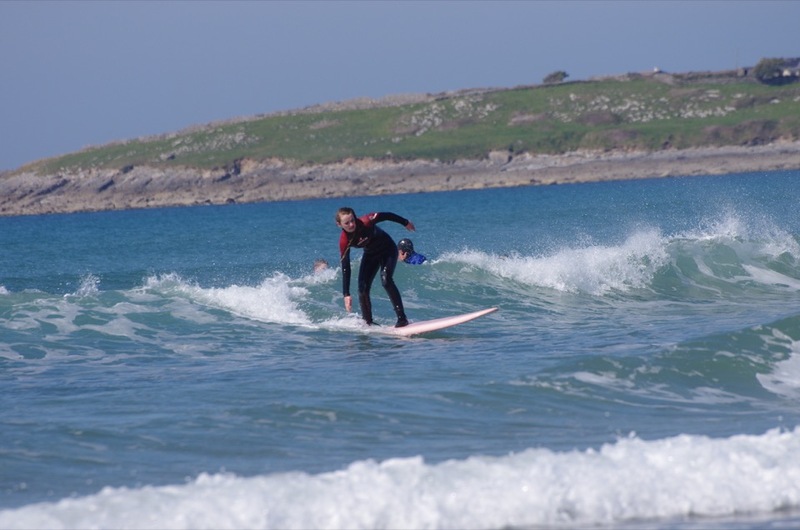 Splash Sports also offers packages for corporate surf lessons and hen/stag parties. 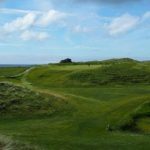 Castlegregory Golf Club is a superb links golf course situated between the scenic Lough Gill and Brandon Bay, at Stradbally, near Tralee, Co. Kerry. The magical colours of Mount Brandon act as a magnificent backdrop to this 5876 yard par 68 nine-hole course.The tranquil setting, combined with the excellent use of natural features ensure that Castlegregory provides golfers with an enjoyable but testing challenge. 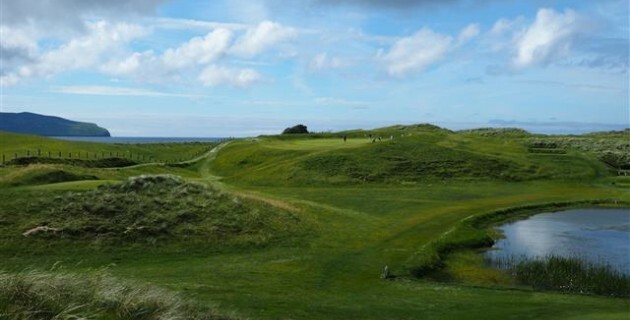 The Course is rarely closed even during a harsh winter as the proximity to the sea keeps the area frost and ice free. 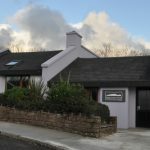 Dingle Cookery School is located in the beautiful seaside town of Dingle, a town well known for its food and hospitality and the Dingle Cookery School adds to this on many levels. Mark Murphy and Muireann Nic Giolla Ruaidh run this amazing business and both have a love for Irish food and are passionate about hospitality. 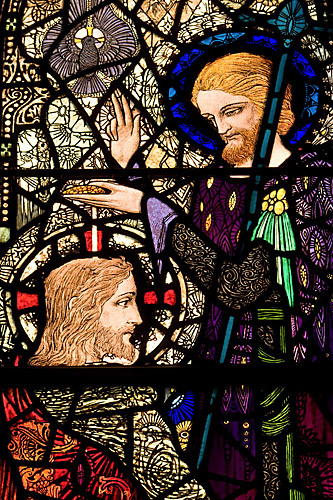 Harry Clarke (1889 – 1931) was born in North Frederick Street, Dublin, where his father Joshua had a decorating and stained glass business. Between 1917 and his early death in 1931, in spite of ill health, he carried out over forty commissions for churches in Ireland, Great Britain and elsewhere. One of his most famous works is the Geneva Window, commissioned by the state for the International Labour Building of the United Nations. 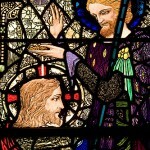 In 1922 Mother Superior Ita Macken of the Presentation Sisters, Dingle commissioned Harry Clarke to design and create 12 stained glass lancet windows depicting scenes from the life of Christ. You will be given a audio machine and a set of headphones that will inform you about the stained glass windows as you walk through the chapel. It is easy to forget about the hustle and bustle of the streets outside in the silence of this peaceful and tranquil place. It’s like stepping off the planet. 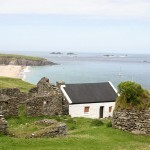 Mick Sheeran, of Blasket Island Eco Marine Tours, offers tours and the opportunity to land on the Great Blasket Island. 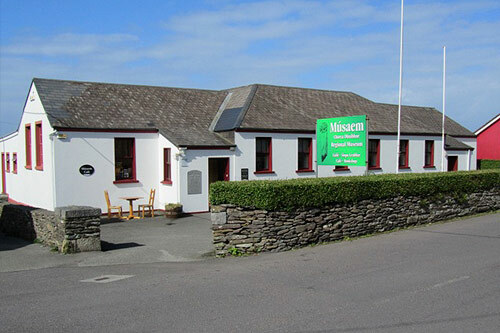 Based at Ventry Village pier (Ceann Trá), 6.5 kilometres (4mls) west of Dingle on the Slea Head Drive (R559), Mick’s tours are of two-and-a-half and four-hour duration. Dingle Bay, and particularly the area around the Blaskets, is rich in wildlife so you can expect to see a wide variety of marine life during your trip. 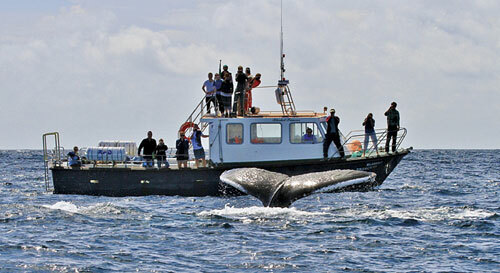 Evening whale-watching cruises are also available with Blasket Island Eco Marine Tours. In 2013, the tours spotted about 240 whales, mostly minke but occasionally killer whales and humpbacks and also saw 40 basking sharks. For those wishing to land on the Great Blasket Island to visit the deserted village and the hilltop fort or just walk the island, Mick’s combination eco tour may suit – it leaves Ventry at 10am, returns at 5pm and includes a three-and-a-half-hour stop-off on the Great Blasket followed by a tour of the islands. There’s a shuttle bus from Dingle for groups. 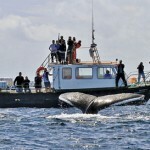 Booking is advisable and can be done online at www.marinetours.ie. 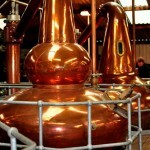 Dingle Distillery is Ireland’s first purpose-built distillery for a new whiskey in over 200 years. Dingle Distillery began production of gin and vodka on the site of the old sawmills in 2012 and the same year began distilling whiskey. This is the latest venture by the Porterhouse Brewing Company, Ireland’s largest independent brewery and the pioneer of craft brewing in Ireland. Given the market interest in Irish whiskey, the timing could not have been better. To mark this historic occasion the first 500 casks are being offered to individuals with character. Owners of these casks will be known as The Dingle Founding Fathers. The Founding Fathers bring together a community of people worldwide, to be part of something totally unique and is an opportunity not to be repeated. Cask owners can choose their own cask for their whiskey to mature in. Why not go along and see for yourself how whiskey is made? The Dingle Distillery appears to be at the forefront of a minor revolution in that it is the first of what appears to be – and we certainly hope will be – artisan distilleries throughout the island of Ireland. 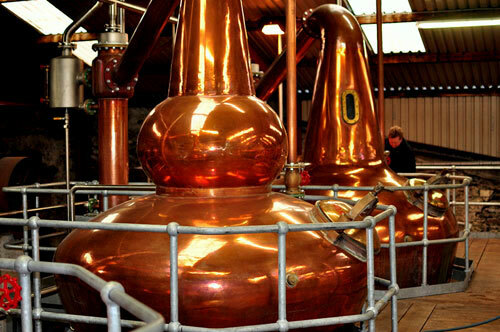 The distillery itself was created in 2012 in the old sawmills on the Milltown Road just on the fringe of Dingle. The settlement near Ballyferriter village west of Dingle shows the classic layout of an Early Christian settlement. It also has the much photographed Reask Inscribed Stone Slab. While there is no record of the early ecclesiastical site at Reask (An Riasc), excavations in the early 1970s revealed an oval-shaped enclosure containing a stone oratory, several decorated pillar stones and a cemetery among other artefacts. Directions by car: From Músaem Chorca Dhuibhne in the village of Ballyerriter, drive on R559 following it around to the east. Once you pass the old Bricks Pub, you will take the next left onto an unmarked road. This will lead you to the Reask area. 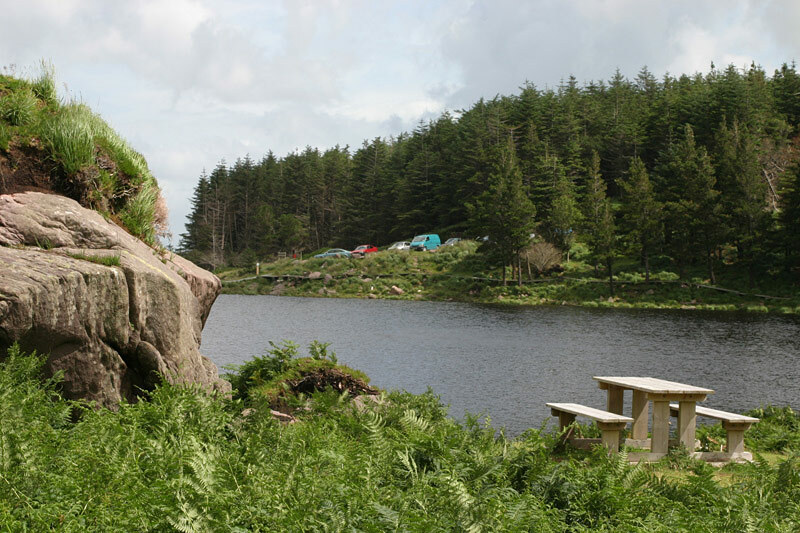 Glanteenassig Forest Park is a 450 hectare area of woodland, mountain, lake and peatland nestling in the Slieve Mish mountains. Three way-marked trails and 8 km of forest road. It is a very picturesque area. The origin of the name Glanteenassig or Gleann Ti an Easaigh which translates to the “Valley of the Waterfalls.” Although remote, Glanteenassig is only about 8 km from the sandy beaches at Castlegregory. You can also check out our walking guides for Glanteenassig Forest Park in the Best Walks in Kerry section of our mobile app. Directions by car: The Park is located 24 km west of Tralee. Travelling from Tralee on the N86, join with R560 towards the village of Aughacasla. Turn left onto Carriganeen Road and follow until you reach the forest area. Come and have the time of your life in Brandon Bay and the Maharees, home to Jamie Knox Watersports for over 20 years. Voted Number 1 Windsurfing destination in the World “Sunday Times.” Ex-Professional Windsurfer and ISA Senior Windsurfing Instructor Jamie Knox has been teaching surfing and windsurfing for well over 20 years. 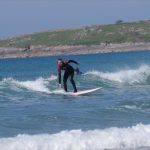 Jamie and his highly qualified and experienced team will give you unrivalled Surfing, Windsurfing & Paddleboarding (SUP) Lessons, service and value for money. Recognised by the Irish Surfing Association and the Irish Sailing association. The Area is surrounded by water so no matter what conditions you are looking for you’ll always find somewhere to Surf, Windsurf, SUP or just unwind and marvel at the magnificent backdrop of Mount Brandon. It’s the ideal location for windsurfing lessons & rentals, Surf lessons & rentals and Paddleboarding (SUP) lessons and rentals. A great place for families, couples, thrillseekers and those who just want to take it easy. Surfing, windsurfing and stand up paddle boarding – lessons and rental. Kitesurfing lessons. Kayak, pedaloe, boogie board and wetsuit rental. Summer Clubs for all ages. Fully stocked surf shop on site. 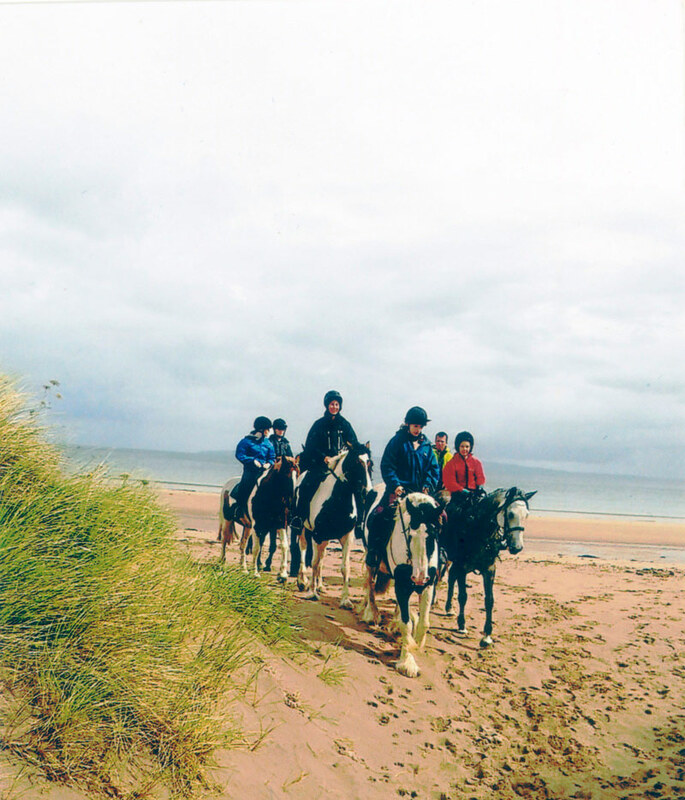 Contact O’Connor Trekking if you fancy horse riding on the long beaches at Castlegregory and taking in the spectacular scenery. All levels of riding experience catered for. There are two hour experienced rides on Tuesday and Thursday evenings dependent on the tides. 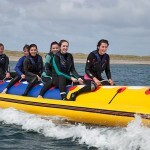 The Maharees, Castlegregory is the home to Ireland’s oldest family run watersports centre, Waterworld. Waterworld, with her sister company Waterworld Watersports can cater for the watersports enthusiast above and below the water, with dive courses for beginners to instructor levels, daily dive trips around the Maharees islands, Surf camps and surf lessons at Brandon bay, canoeing, paddle boats and the famous water trampoline in sandy bay and the power boat courses run from Scraggane bay. The Atlantic, we Dive it, we Drive it, we Surf it, we Live it! Based at Harbour House & Leisure Centre in the Maharees, Waterworld offers Scuba Diving for trained divers. You can also try a dive for as little as 25 euros in their indoor heated swimming pool. Accommodation and restaurant on site. Dún an Óir in English means “Fort of Gold.” It got it’s name after a ship carrying pyrite (Fool’s Gold) ran aground here. In 1580, 600 Papal troops (Italians and Spaniards), landed here to aid the Desmond rebellion. All were massacred by English forces. Little remains of the fort today, there is a memorial monument for the fallen soldiers. 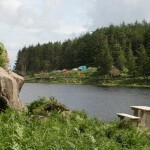 The best way to find the site on foot is to visit Músaem Chorca Dhuibhne first to get your bearings and a walking map. You can see Dún an Óir as part of a coastal walking tour if you’d like. It is about an hour and a half walk from the village of Ballyferriter. The site overlooks Béal Bán (the White Strand), a beautiful long sandy beach on the shores of Smerwick Harbour. Directions by car: From Ballyferriter village, head southwest on the R559. After 1.3km, turn right for Ferriters Cove. After a further 1.4km turn right again. After 2.6km, again turn right (signposted Fort Del Oro). Take the next left go to car park at the end of road. 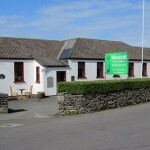 Dingle Peninsula Museum (Músaem Chorca Dhuibhne) is situated in the old schoolhouse (built in 1875 – a monument in itself) in Ballyferriter (Baile an Fheirtéaraigh), 13km (8 miles) west of the fishing port of Dingle (Daingean Uí Chúis), at the west of the Dingle Peninsula, Co. Kerry, which is in the beautiful south-west of Ireland. We are on the Wild Atlantic Way, and the Slea Head Route, both spectacular driving routes. We are situated in a Gaeltacht (Irish-speaking area), so you will see expressions in Irish and the original, Irish (and correct!) forms of the placenames in the area, although some maps still only use an ‘English’ version – we hope you won’t be too confused. Dingle Peninsula Museum is also delighted to provide information about walks in the area, sites you might like to visit and other activities available in West Kerry. The museum also houses a café (home baking! ), and a book shop, which also stocks cards and small gifts which have been made in the area. Opening hours: Open 7 days a week from 10.00am – 5.00pm during the summer months, from June to September. We also open during the Easter holiday season. To arrange to visit outside of this time, please contact us by phone, email or post. At Faoileán Pottery you can choose any one of the hand thrown pots and give it your own personal touch. It’s fun! 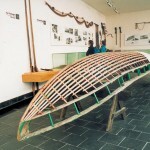 It’s your design, created by you in the heart of the Gaeltacht. You don’t have to be an artist as all the help you need is provided. 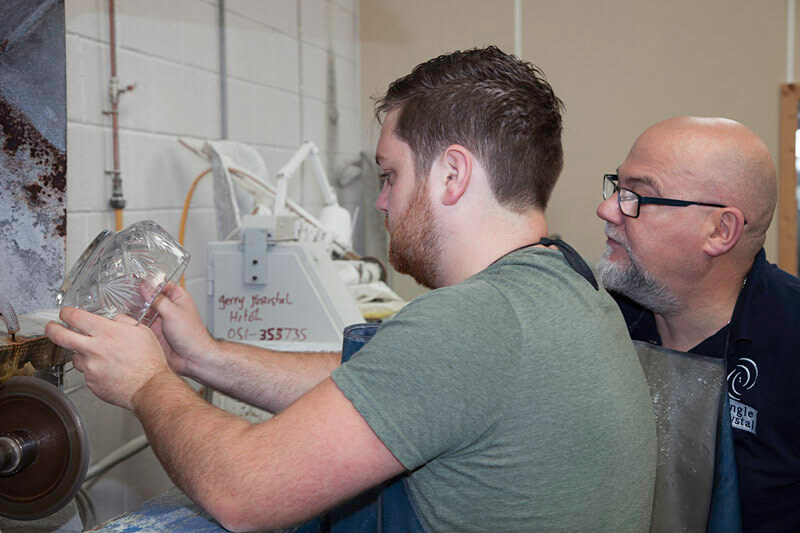 Paints, sponges, stencils and ideas are plentiful so you don’t need to bring anything – just enthusiasm and a willingness to create something different. You may decorate small tea sets, sugar bowls, plates or mugs. You can paint your own design, or decorate the piece with a personal message. 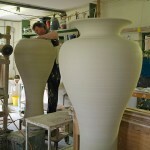 It will then be fired in the kiln and can be collected later. 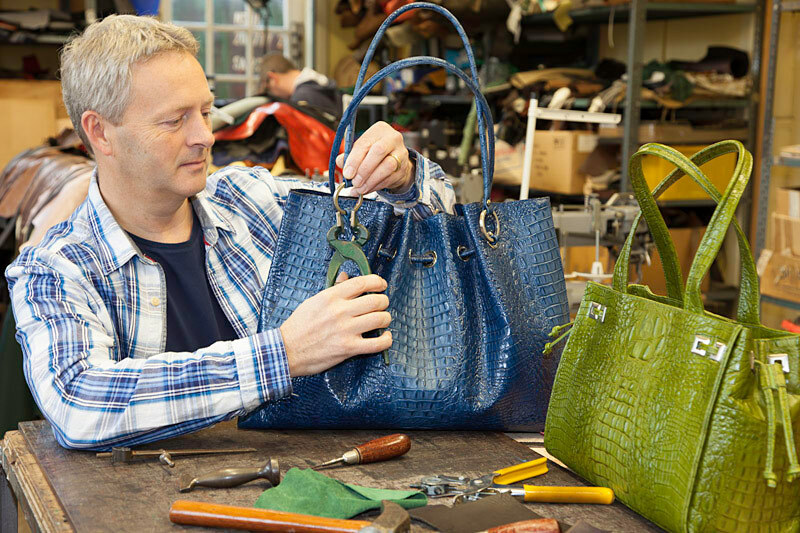 Whatever the finished product looks like, it’s guaranteed to be a treasured possession. This is a day out for young and old, ideal for kids’ birthday parties and hen parties or simply an alternative activity for a wet day. All of Faoilean’s own range of functional stoneware pottery is on display. 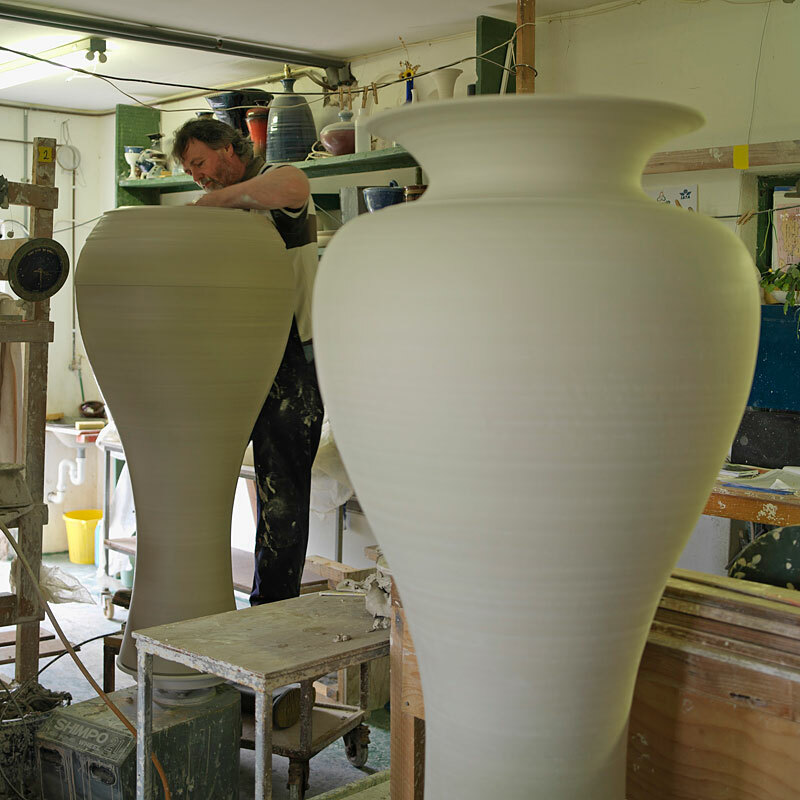 The setting of Faoileán Pottery is beautiful. Ballyferriter is nestled in a stunning green valley between the majestic hill of Croaghmarhin to the south and a ridge of jagged peaks to the north, Sybil Head and the Three Sisters. To the east, Smerwick Harbour caresses a two-mile long stretch of white sandy beach called Béal Bán. To the west, the mighty Atlantic is faced off by high rocky cliffs, punctuated with tiny coves and beaches, just right for the days when the sun is shining. Dating from the Iron Age (c.400 BC – 400 AD), Dúnbeg Fort is an impressive and elaborate example of a promontory fort. 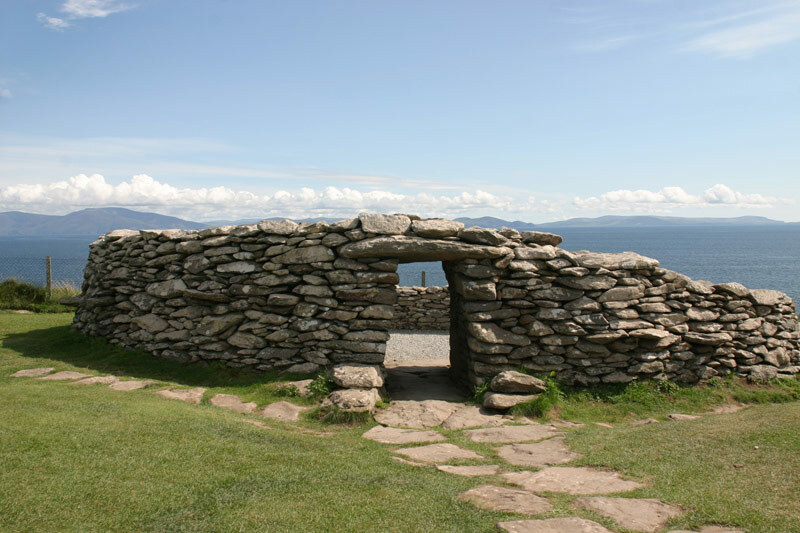 It is built on a sheer cliff which projects south into Dingle Bay. The most significant relics from the Iron Age are promontory (sea facing) and hill forts. These are usually monuments with a large stone wall enclosing a considerable area of hilltop or cliff ledge. On the whole they were built as defensive structures, but often a refuge of last resort during an invasion. There is an informative visitor centre and the Stonehouse Restaurant & Cafe is also on site. 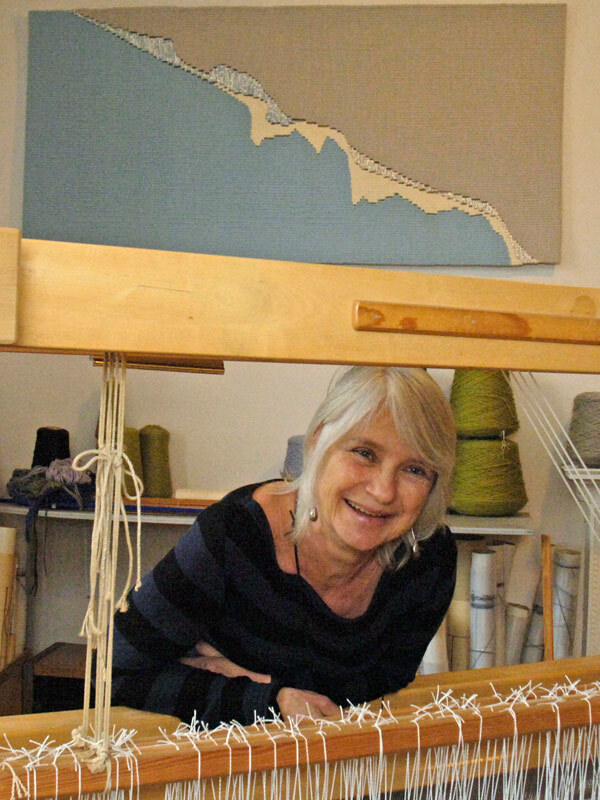 The centre features panoramic sea views, an audiovisual centre and an information and craft room. Walk back in time…discover 500BC Dúnbeg Fort and savour the spectacular sea views. Directions by car: After Dingle Town, continue on the Slea Head Drive (R559), past Ventry Village and straight on for approx. 6km, until you reach the village of Fahan. You will see signs for Dún Beag Fort Visitor Centre on your right. 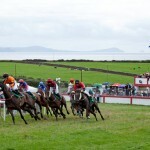 The Dingle Races is Ireland’s largest and best horse and pony meeting. Every year in August, the field at Ballintaggart changes into an enormous racetrack filled with horses, jockeys and horse racing enthusiasts from all over Ireland and the rest of the world. The Dingle Races are the biggest of all flapper races in Ireland. The real racing fan cannot miss the twenty races that are spread over the weekend. The local saying that the summer is gone after the races might not be completely true, but what is true is that the races are the absolute highlight on Dingle’s event calendar! More than 160 horses from all over the country will compete in these races for prices as high as € 6,000. The centre of the racecourse is filled with bouncing castles, fortune-tellers and fair stands that sell everything from bouncing balls to saddler’s sponges. Entertainment for the whole family! For colour, excitement and heart-stopping action visit the Dingle Races, an old-world race meeting. Directions by car: You can find the Ballingtaggart Racecourse about 2 km outside the town of Dingle on the N86 to Tralee. Parking will be arranged at the spot, please obey the instructions from the parking-stewards. There is a shuttle bus between Dingle town and the racecourse. 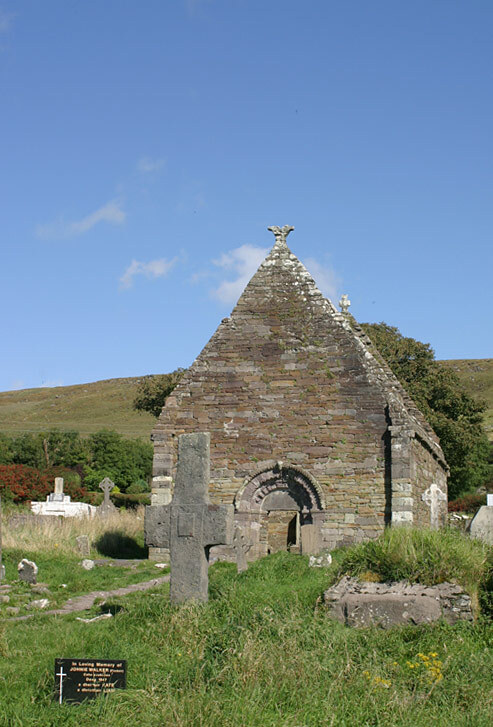 Kilmalkedar is a religious site founded by St Maolceathair in the 7th century. The monuments here date from the Early Christian period and medieval times. 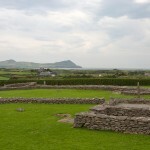 Kilmalkedar is a spectacular early-Christian and medieval ecclesiastical site located about 8km from Dingle, County Kerry. The ruins are spread across an area of 10 acres. Among them, visitors will enjoy examining the fine 12th-century Hiberno-Romanesque church and several fascinating artefacts, such as an alphabet stone, holed Ogham stone, sundial and large stone cross. Directions by car: From Gallarus Oratory, head east. Turn left onto the R559. Follow this until the next right turn. This will lead you to Kilmalkedar. 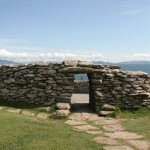 The Gallarus Oratory is one of the most famous landmarks on the Dingle Peninsula and is situated close to Gallarus Castle. 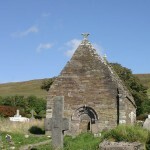 The Oratory is completely made of stone and some way it resembles an upturned boat. Various dates have been suggested for its construction but an exact date for same is not available. It is extremely well preserved and several archeological artifacts are to be found on the grounds of the Oratory. The Oratory and grounds are carefully maintained by the OPW. Located at the Yacht Marina in Dingle, Co. Kerry, Dingle Bay Charters provides a wide range of boat trips for visitors to enjoy our beautiful coastline and islands. These include: sea angling, Dingle Bay and Blasket Island boat tours, Blasket Island and Valentia Island ferries, Yacht Charter and a cruise in Dingle Harbour. 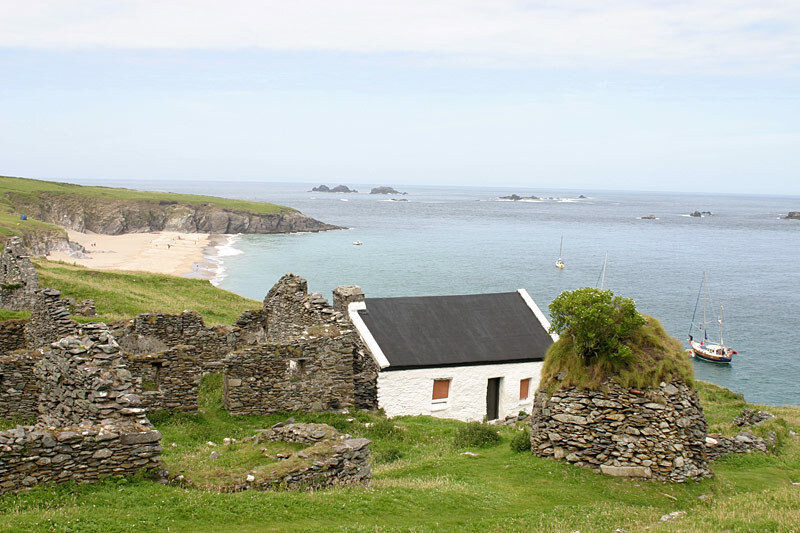 Enjoy a fun and informative 2 hour guided tour along the coast past Slea Head, the Great Blasket Island and Beginis Island. Observe the Grey seal colony around the islands and listen to the guide sweeping through the history and folklore of the unique society that was formed on the Blasket islands. Come fish the waters around the most westerly islands in Europe with Skippers that have spent a lifetime at sea. 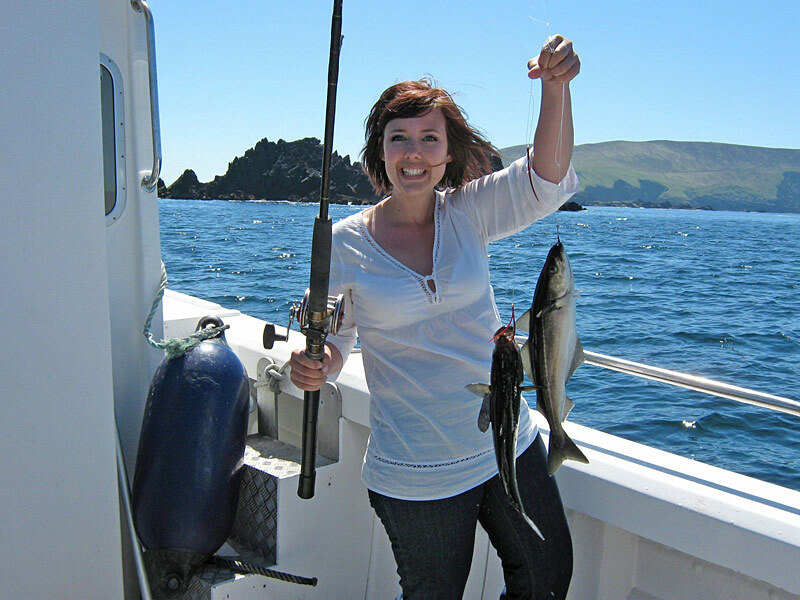 Whether you are a novice fisherman or an experienced angler, you can experience the thrills of deep-sea fishing in Dingle Bay on board our fully licensed and equipped angling boats. 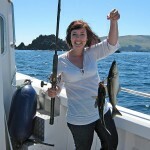 Catch includes pollack, mackerel, ling, cod, conger and tope. Dingle Bay is a superb sailing area with many sheltered anchorages, magnificent scenery and interesting islands. 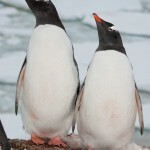 An abundance of seals, puffins and other wildlife will be encountered on your cruise around the bay and islands. Records of Dingle town, known in Gaelic as Daingean Uí Chúis, date back to 1257. 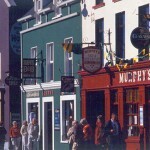 Dingle is renowned for traditional music, great pubs and fine seafood restaurants. With a wealth of things to do and see, you’ll be spoiled for choice as you explore this quaint fishing port and market town. 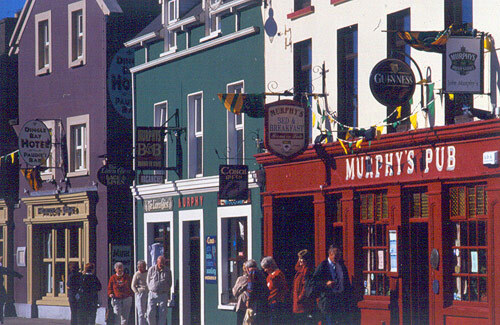 Dingle town is also the capital of the West Kerry Gaeltacht (Irish language speaking area). Brightly painted houses and breathtaking scenery will greet you as you navigate town’s layout of the streets that still reflect its origins as a walled borough. 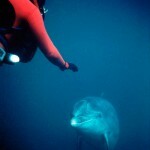 The resident celebrity of Dingle town is Fungie, a bottlenose dolphin that made Dingle Harbour his home 30 years ago. He has been entertaining and amazing young and old for many years and now internationally renowned, he is Dingle’s No.1 citizen. Fungie is always available to welcome boats, trawlers and yachts to Dingle. A small cave under the cliffs at Burnham is thought to be his home. 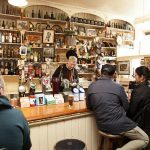 There are many activities celebrating the rich cultural history in Dingle such as arts festivals, the Dingle Film Festival, regattas and the town once boasted an impressive 52 pubs! 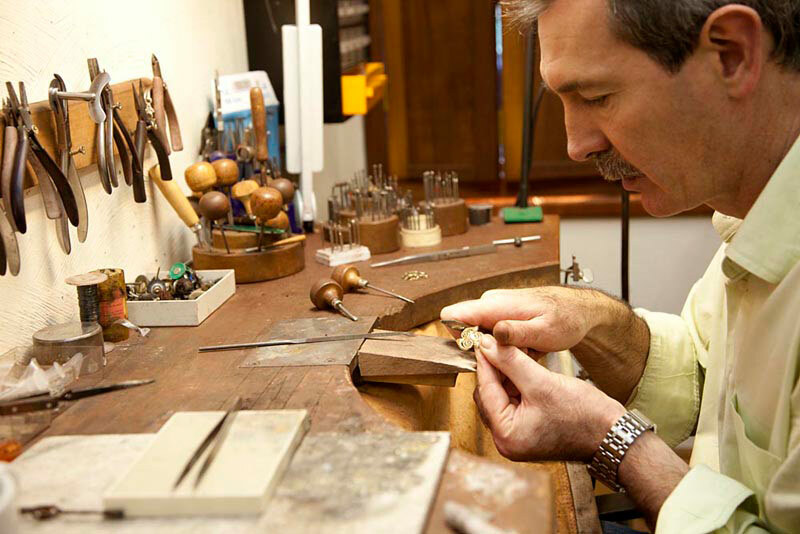 If you’re looking for a unique gift, Dingle town is full of wonderful shops selling hand-made arts and crafts. 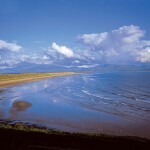 Inch Beach is three miles (5 kms) of sand dunes that stretch out into Dingle Bay. Stone age middens, stories of 18th century pirates, location for several Hollywood films, nowadays a favourite spot for birdwatchers, surfers and bathers. The blue flag Inch Beach has an easy gradient and plenty of space provides a safe environment for all types of water sports including surfing, kayaking, windsurfing, kite- surfing, hangliding and fishing. The Dingle Peninsula is one of the most spectacular regions on Ireland’s West Coast. There are many walking routes around the area. 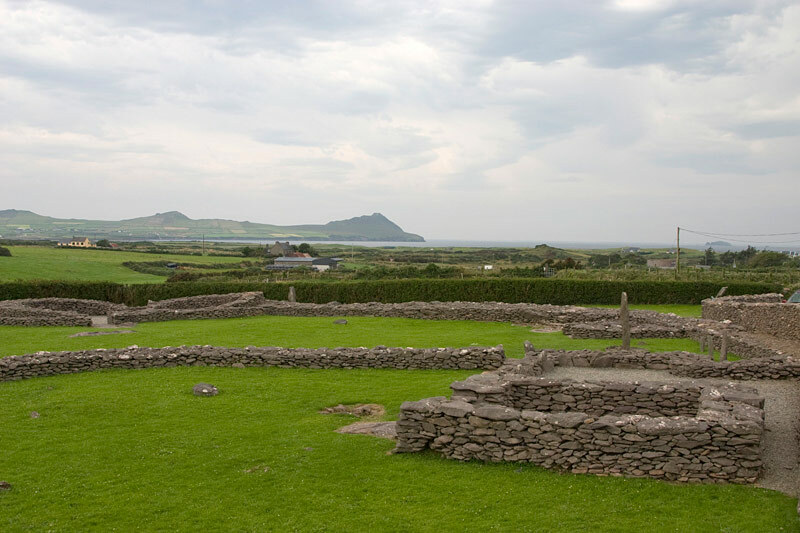 which is steeped in history, mythology and traditional Irish culture. The Blasket Islands, or as they are known in Irish Na Blascaodaí, lie around 6 km beyond the most westerly tip of the Dingle Peninsula. The largest of the islands, The Great Blasket Island or An Blascaod Mór, was finally abandoned in 1953 when the last twenty two people living on the island were moved to the mainland. The island’s population, which once boasted one hundred and seventy five residents, had steadily declined through emigration. 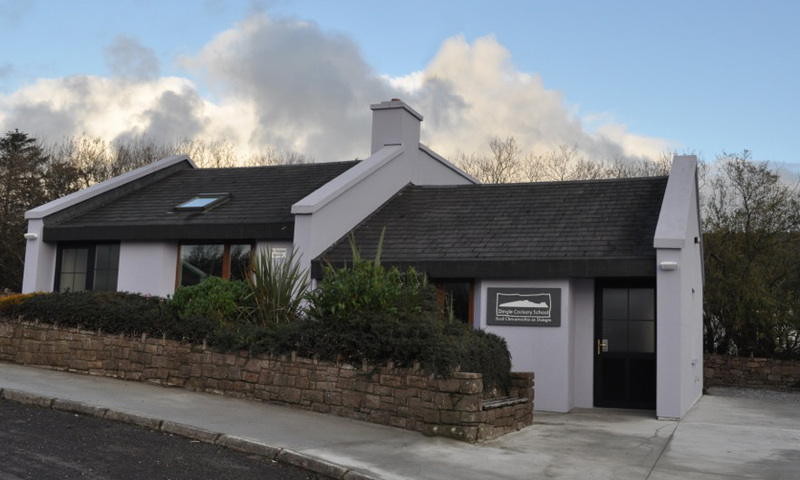 The Blascaod Mór Centre on the mainland in Dún Chaoin on the tip of the Dingle Peninsula is a fascinating heritage centre/museum honouring the unique community who lived on the remote Blasket Islands until their evacuation in 1953. 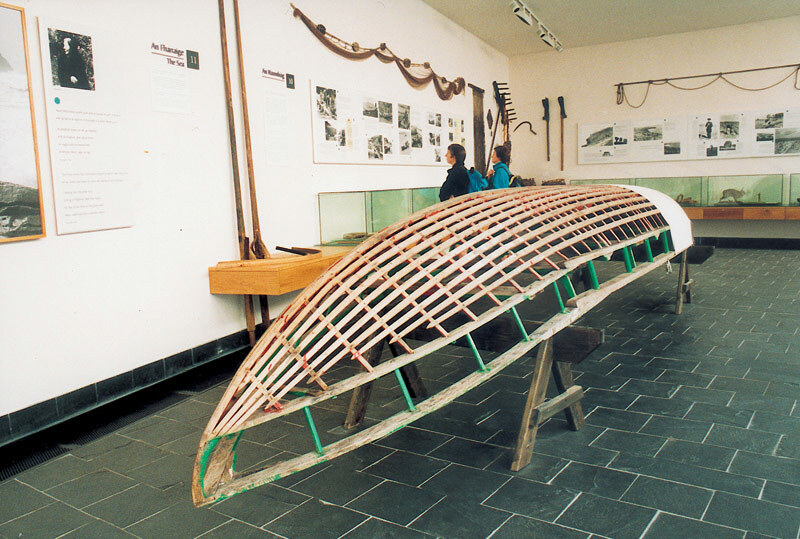 The Blasket Centre tells the story of island life, subsistence fishing and farming, traditional life including modes of work and transport, home life, housing and entertainment. Blascaod Mór Centre details the community’s struggle for existence, their language and culture, and the extraordinary literary legacy they left behind- classics such as ‘The Islandman’, ‘Twenty Years A-Growing’ and ‘Peig.’ Their story is told using a variety of means – exhibitons, interactive displays, artefacts, audio visual presentations and artworks. Ceiliúradh An Bhlascaoid/The Blascaod Commemoration is usually held annually every October but please check the website to confirm and for more details – www.ceiliuradh.com. There is a car park at the centre as well as a restaurant and bookshop. 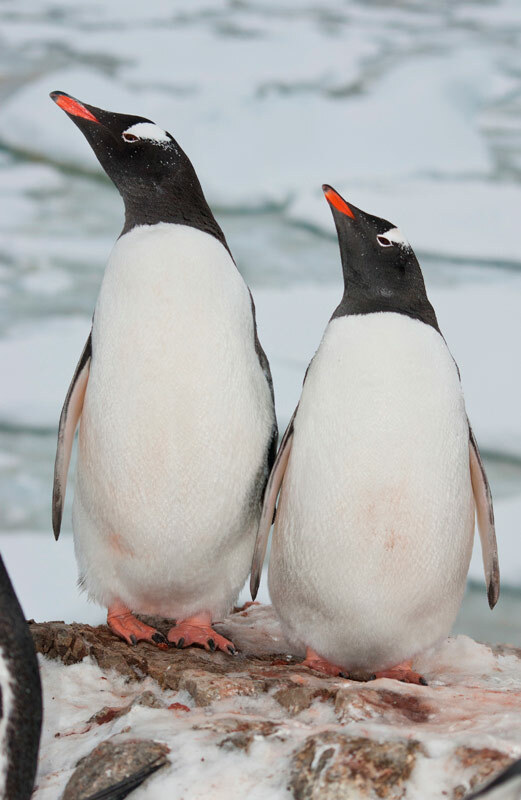 Discover the wonders of the deep at Dingle Oceanworld Aquarium, including Sandtiger Sharks, an Amazon Jungle display that includes Piranhas, a Tropical Display, a seahorse tank and the latest addition, Polar Penguin Exhibition featuring Gentoo Penguins. The Aquarium also hosts Ireland’s largest collection of sharks. There is also a touch tank and a 9m underwater tunnel. A coffee shop and gift shop are also on site. Entry tickets are valid all day. Dingle Oceanworld Aquarium is open every day of the week all year round and is also available for birthday party bookings. There are lots of activities especially for children at the Aquarium including arts and crafts, face painting and informational talks about the animals. Booking your tickets in advance online will save you 10%. Tickets are valid all day for multi-entry on day of purchase. Dingle Brewery is newly opened and also a great place to try out our local brew, Tom Crean’s. Have a chat with our brewer and watch him at work. There is also a visitor centre, gift shop and tasting room. Our very own natural Spring Water which just so happens to be perfect for brewing, especially Lagers, is our most prized possession at Dingle Brewery. Local word is that it has many life affirming powers. All we know is that having water of this quality right on our doorstep helps us produce a Lager that is as close to nature as possible and is unmistakably Dingle. If you see one of our taps along your travels why not navigate your way towards the bar and ask for a pint of Tom Crean’s Premium Lager. We named our lager after local legend and great Antarctic explorer Tom Crean, who once undertook a superhuman 18hr 35 mile solo trek to save the life of his 2 companions. He truly is a man worth commemorating so here’s to Tom! Dingle Brewery has a rich and varied history; take a trip through the past with us.